I hope everyone had a great Fathers day weekend. 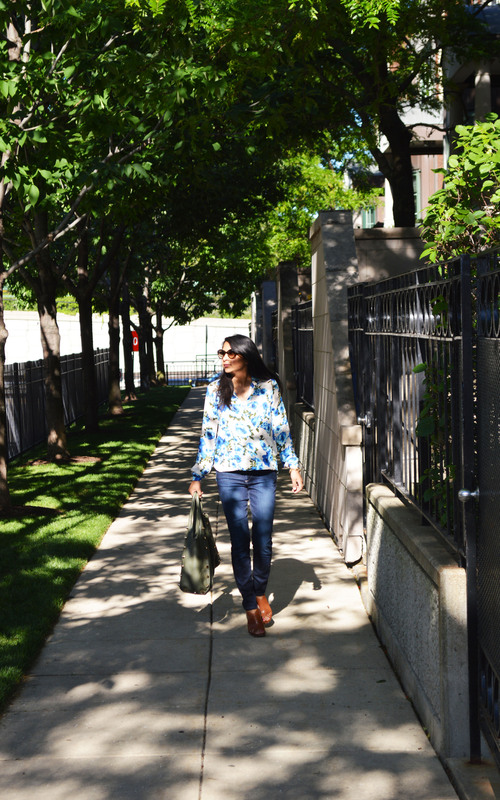 This was the first weekend in a long time that Suhail, Z and I stayed in Chicago. Can I just say…I have a love hate relationship with Chicago. I hate it in the winter when the temperature is like -12, but I LOVE it in the summer. 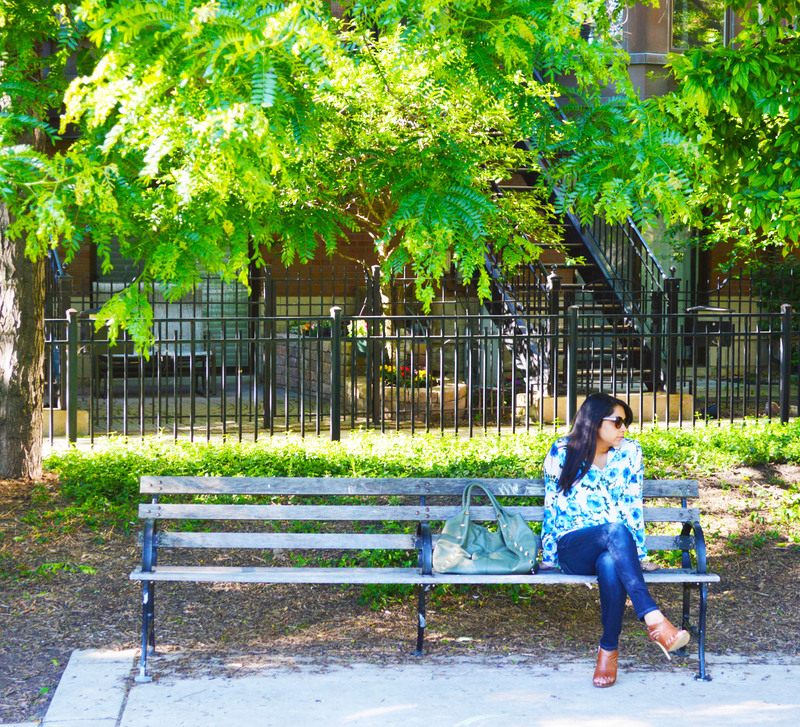 Nothing beats Chicago summers. The weather this past weekend was absolutely perfect. We spent a good amount of time outdoors this weekend with Baby Z – we took her for a stroll in her new CityMini Stroller (she finally fits in it) and visited the park – she loved the baby swing! How did you guys spend your Fathers day weekend? 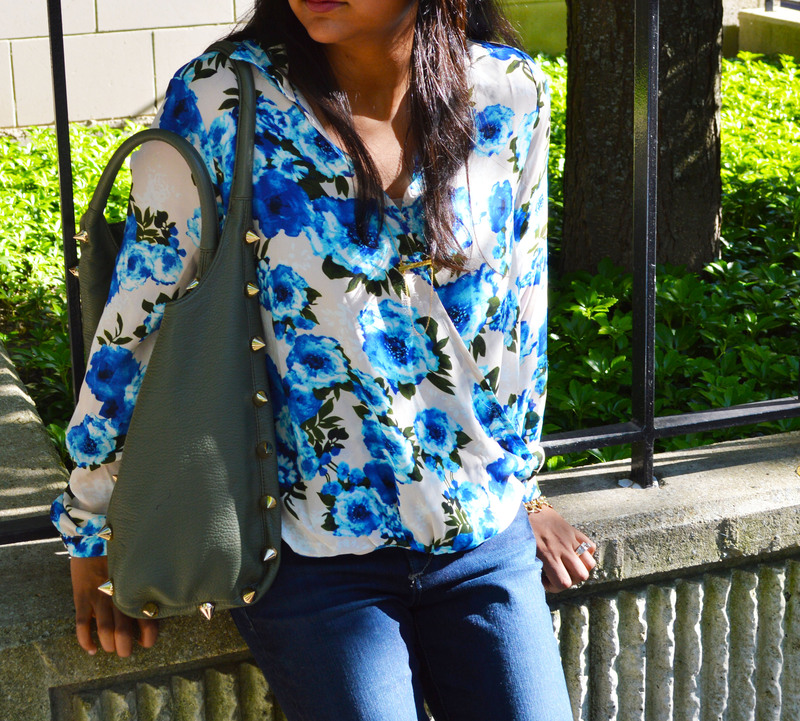 On the style, I’m not a huge floral person – but I loved this Forever 21 top – the blue flowers were calling my name! 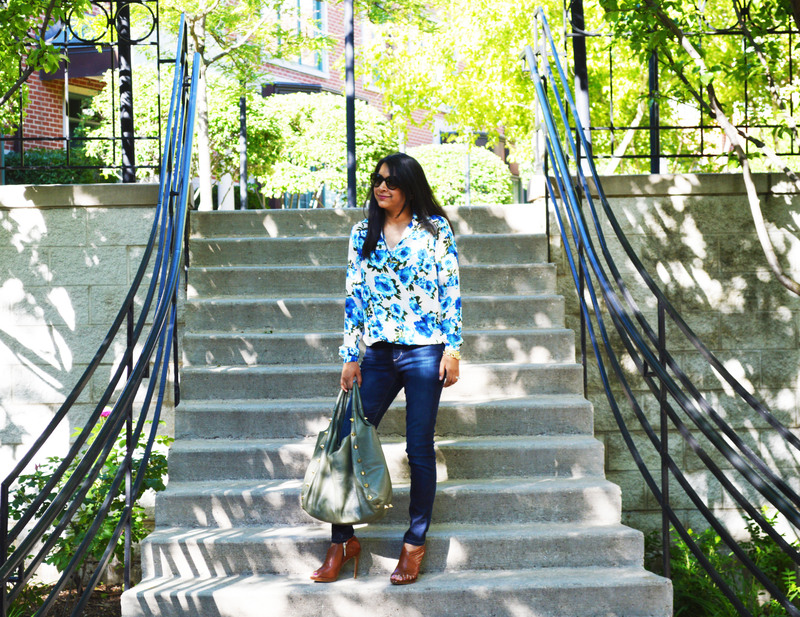 I paired it with jeans, A tan belt and heels and an olive green bag (an amazing Nordstrom Rack find!). I thought the colors went well together – all earthy tones.